Despite victory at Love Street, the United side showed four changes for the quick return to Hampdeh Park where Celtic are playing their home games this season. Alan Main, Alex Cleland, Billy McKinlay and Andy McLaren were all back in the side. 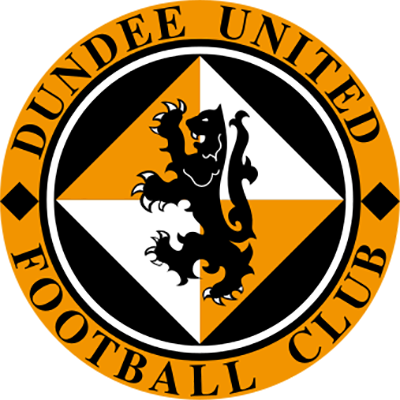 Throughout this game United created the better of the scoring opportunities, the first coming as a result of a foul on Billy McKinlay 25 yards out. Craig Brewster over the wall, but Marshall beat the ball away in the first of a series of fine saves he was to make that afternoon. Only Marshall's finger-tip save from Andy McLaren's first time effort after Dave Bowman had headed down Dragutin Ristic's cross into the winger's path kept Celtic on level terms. At the start of the second half Mowbray cleared Andy McLaren's shot from outside the area off the line and then David Hannah directed a header wide when well placed. The young midfielder then saw Marshall turn his shot over the bar on the hour mark. It was, therefore, rough justice on United when Celtic who had created little went ahead seventeen minutes from the end. Andy Walker was sent clear and though Brian Welsh covered his run, the striker cut inside before shooting low into the far corner from 12 yards. United's equaliser four minutes later was no less than United deserved. Jerren Nixon ran on to a ball played into the corner of the box. He beat Boyd and Mowbray before curling in a terrific shot into the top right hand corner of Marshall's goal. At that stage the United fans had more thoughts about winning the game as Craig Brewster's head flick dropped to David Hannah and Marshall was at full stretch to tip over his volley. 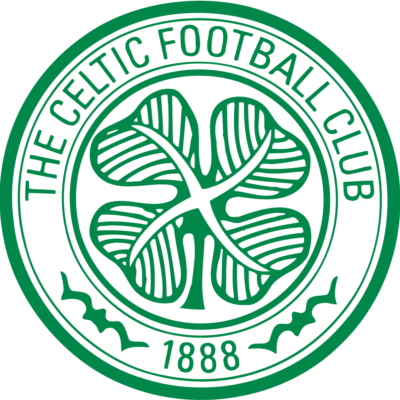 Both sides went all out for victory, but it was Celtic who claimed all three points with a goal three minutes into injury time generously allowed by the referee. 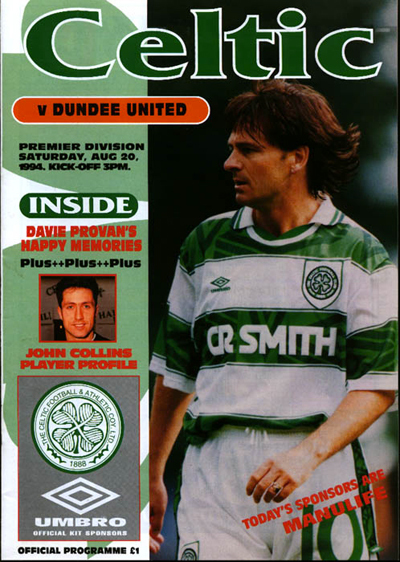 Tony Mowbray rose to meet a corner which Alan Main had failed to hold and his header looped over the line to give Celtic a victory they didn't deserve.